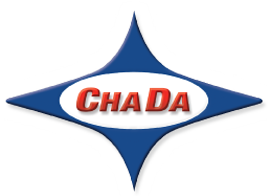 Level Controls – ChaDa Sales, Inc. The Roto-Bin-Dicator® is the most universal of all level sensing technologies and is the most popular level switch used in dry bulk materials. The Roto-Bin-Dicator® is a rotating paddle type, bulk material level sensor offered in a wide variety of paddle options for unequaled application versatility. It is easy to install and requires no special tools or calibration. 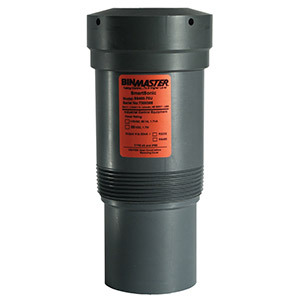 The Bindicator® RF (Radio Frequency) Series is a family of point level switches used to detect the presence or absence of material at a point inside a tank, bin or other vessel. 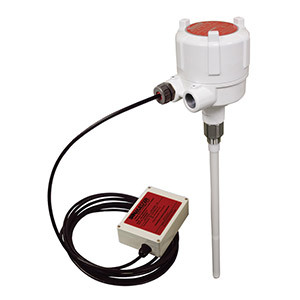 The RF Series is used for high and low level detection in thousands of applications from bulk solids to slurries and liquids. Bindicator®’s unique calibration technology overcomes problems associated with other capacitance probes. The Pro-Guard® feature cancels out the effects of material coating on the probe, preventing false indications. All Bindicator® integral RF units have remote versions. Remote models separate the electronics from the RF probe, where conditions could be harmful. The premier RF-9200 integral and RF-12000 remote unit, as well as 14 other models, are each available with many options and accessories. Remote models are available for high temperature or high vibration applications. 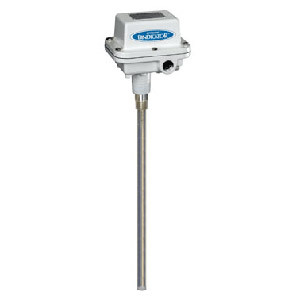 When combined with our large selection of probes, we have an RF sensor for virtually every application. Standard Probe – Solids, powders and liquids in tanks and bins. 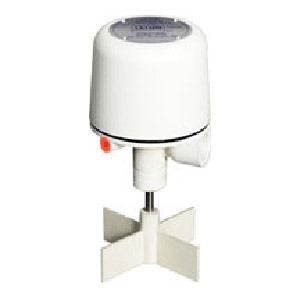 Stub Probe – Small hoppers and vessels. Flush/Dome Flush – Plugged chute detection; where bridged material may shear or bend other probes when material shifts; coal applications or where slightly conductive coatings may occur. Cable Probe – Designed for high, mid or level indication when top mounting is necessary. Ceramic Probe – For extreme temperatures up to 1000° F (538° C); provides protection because electronics are mounted remotely from the probe. 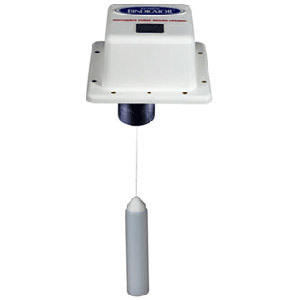 The Pulse Point™ is an electronic vibratory level control especially effective in lightweight powders and granular solids. Because the Pulse Point™ senses material using a mechanical principle, the dielectric constant of the material is irrelevant. Remote models are available for high temperature or high vibration applications. Includes dual conduit entry for ease of installation as well as the separation of input wiring and alarm wiring. The original electromechanical point level switch, Bin-Dicator® diaphragm-type level controls were the first to enjoy general usage in the industry. Bin-Dicator® controls eliminate bin overflow, empty bins, clogged conveyors, choked elevators and resultant damage and waste. For bins, hoppers and chutes of limited size. With a stainless steel diaphragm for exterior, side of bin mounting. For light, heavy or explosive materials. Bindicator’s patented Phase Tracker technology is designed to solve the most challenging continuous level applications. 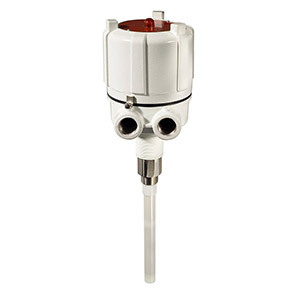 Phase Tracker is ideal for the measurement of level of solids, liquids and slurries. Phase Tracker can accurately and reliably measure the level of bulk solids and powders during the fill cycle, regardless of dust or material variations in density or moisture. It is effective in foam, non-air vapor, fumes, abrasives and corrosives, as well as corrugated bins and tall, narrow silos. 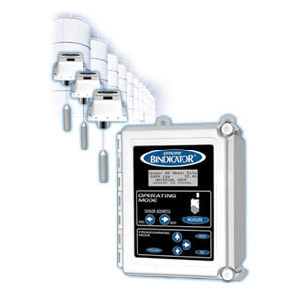 A Phase Tracker system consists of a control unit and up to 24 sensors. The control unit is usually mounted in a central location and can be connected to external systems through a number of process connections including a telephone modem. 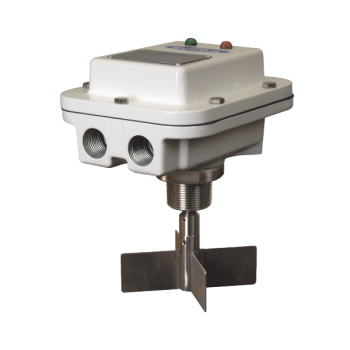 The sensors are powered by the control unit and can be mounted up to 400′ (121.9m) from the control unit. The exact options installed on each control unit are selected to match the needs of the installation. The model of each sensor is selected based on the range of products that will be stored in the vessel. i-level™ Inventory Manager Software may be used with Phase Tracker systems to provide up to the minute, real time silo levels at a glance. i-LEVEL™ provides easy windows interface to view numerical and graphical data generated by Phase Tracker level systems. Data is updated in real-time as it is received from the control unit. With features such as trending, multi-system windows, and remote access via modem, i-LEVEL™ provides operators and managers with up-to-the-minute level and inventory information. The Bindicator® Yo-Yo® is a reliable continuous weight and cable level measurement system designed especially for dry bulk materials. 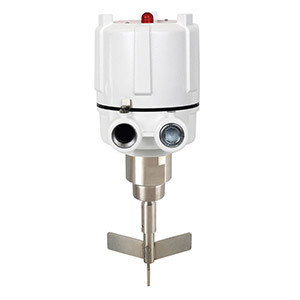 It’s an electromechanical sensor which is mounted on top of a vessel. The new GP-4 Yo-Yo® Inventory Management System consists of the GP-4 Yo-Yo® Sensor and NEMA 4X Remote Display. 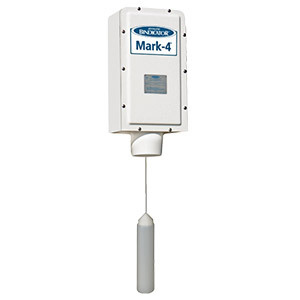 The Mark-4 Yo-Yo is a heavy duty inventory management system with analog capabilities. 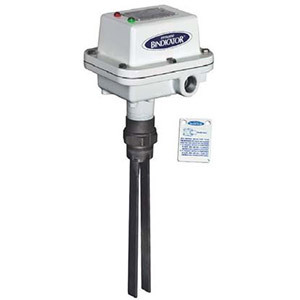 The BMRX series of rotary paddles features a basic rugged design that provides for simple, dependable operation. They can be used as a high or low level control for solid material storage and flow. Prevent bin overflows, empty conditions, clogged chutes and jammed conveyors with a GR level control. The GR II Maxima provides reliable point level detection for bulk solids, including powder, pellet and granular materials. The unit’s status is continually monitored, and its fail-safe circuitry will fall to a “safe” condition in the event of a power loss or mechanical failure. The Mini-Rotary is an economical, compact rotary level control that has been designed for use in small bins and hoppers. The small yet rugged design allows you to use the Mini-Rotary where other level controls simply won”t fit. 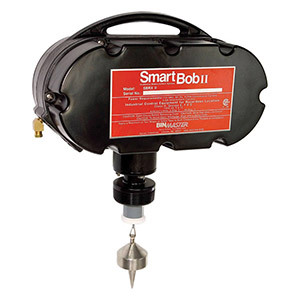 The new SmartBob II is the smartest, toughest and most cost effective remote inventory sensor on the market. The new robust design of the SmartBob II Remote will provide years of maintenance free service. 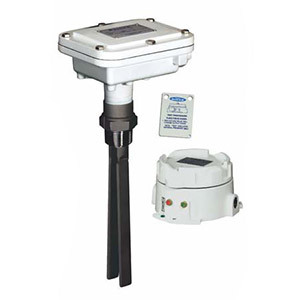 SmartSonic is for continuous non-contact level measuring and monitoring of tanks, bins and silos. 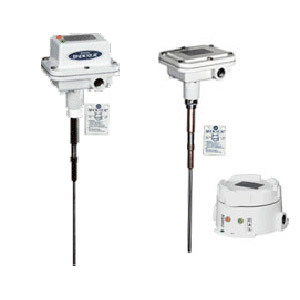 The SmartSonic system features a variety of ultrasonic transmitters and broad processor capabilities that provide remote display and full communication solutions. SmartWave is for continuous non-contact level measuring and monitoring of tanks, bins, and silos. 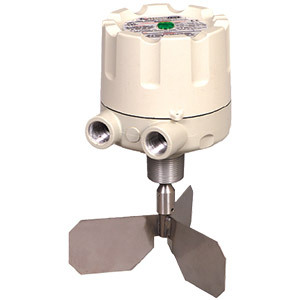 The SmartWave Transmitter is very accurate, noiseless, and features self-adjusting pulse radar at an economical price. Do you need simple, low cost point level control with lasting reliability? 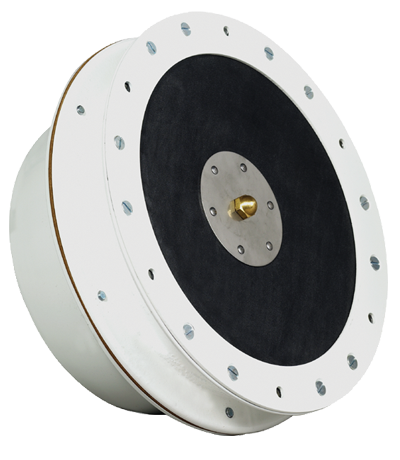 BM 45 series diaphragms are designed for nonhazardous free flowing dry materials in high or low level applications. The simple yet reliable operating mechanism requires minimal maintenance. 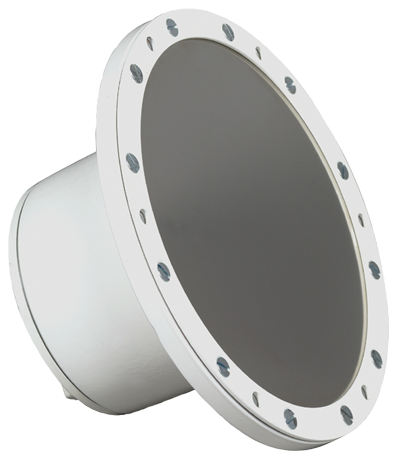 BinMaster diaphragms provide automatic level indication of free flowing dry materials in high, intermediate and low level applications. 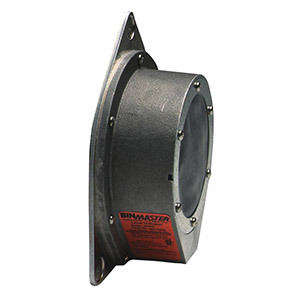 The BM65 series has the same operating benefits as the BM45 series, but is designed for use in hazardous atmospheres charged with combustible dust. 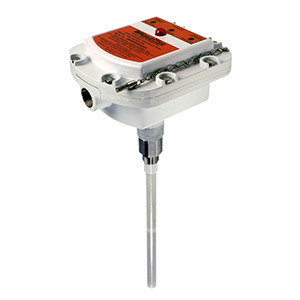 The BinMaster Tilt Switch Level Indicator is a versatile, low-cost indicator which can be used for a wide variety of applications. 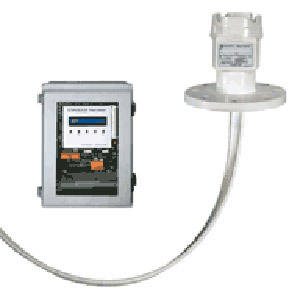 Install as a plug detector in chutes, or use it to detect high levels of large heavy materials in tanks, bins or silos. 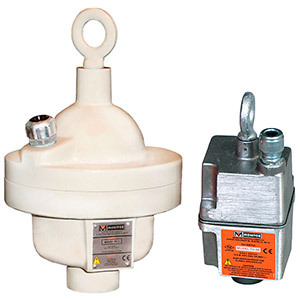 It is also suited as a load sensor when positioned over conveyor belts or open piles. 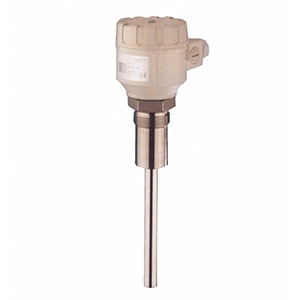 The Tilt Switch is suspended in a bin or over an open pile or conveyor. When the material level rises, the switch tilts, breaking the circuit. The unit’s single moving part offers both simplicity and reliability. Device sensitivity may be increased with optional accessory paddles. 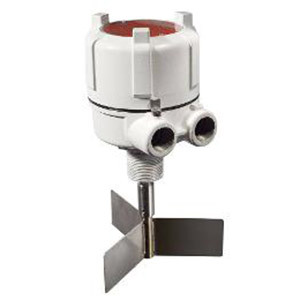 Monitor’s line of rotary paddle bin monitors consists of the most reliable, rugged and economical point level control sensors available for detection of dry bulk materials. These easy to install units are proven performers in a wide variety of bulk materials. Monitor’s paddle units can be used to eliminate bin overflow, maintain a predetermined material level, indicate plugging of conveyors and pneumatic lines or provide any of a number of level control functions. 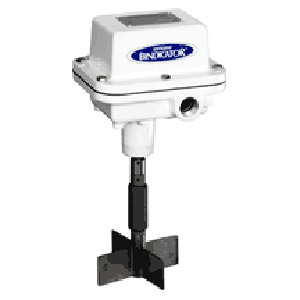 Unlike many other available paddle units, Monitor’s paddle level indicators incorporate a feature that automatically shuts off the motor of the unit when the paddle is in a stalled position, which both extends the life of the motor and minimizes maintenance. The operation of the paddle level control products is quite simple. The unit is installed through the wall of the vessel, so that the paddle protrudes inside the vessel. A small electric motor drives a paddle which rotates freely in the absence of material. When the paddle is impeded by material, the motor rotates within the housing which triggers two switches. The first switch is a “dry” electrical contact closure that is available to control a process function or alarm circuit. The second switch cuts the power to the motor, preventing a locked rotor condition, thus extending motor life. This also activates the signaling device which is wired through that same motor switch. When the material level drops, the loaded stretched tension spring returns the motor to its original running position and the unit is reactivated. MODEL KA – This model is ideal for use in standard applications with a wide variety of materials. MODEL KAX – This model incorporates all the features of the KA model, but is specially designed to meet hazardous location standards. The SafePoint bin monitor provides the ultimate in performance wherever critical continuous operation must be ensured. Detection of both material presence and its own operational status is performed on a continuous basis. The SafePoint level sensor monitors its electrical and mechanical operating condition. This, in conjunction with separate outputs provided for material sense and unit status (fault conditions) make the SafePoint a “truly” fail-safe device. While the SafePoint bin monitor is an evolution in rotary paddle technology, it continues to use tried-and-true Monitor operating techniques. Unlike many other available units, the SafePoint incorporates a feature that automatically shuts off its motor when the paddle is in a stalled condition. This extends the life of the unit and minimizes maintenance. 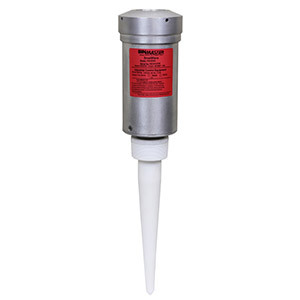 The operation of the SafePoint® rotary paddle bin monitor uses Monitor’s magnetic sensing technology to detect both material presence and operational status of the unit. This method is simple and more reliable than that used by other brands. The unit is installed through the wall of the vessel so that the paddle protrudes inside the vessel. A small electric motor drives the paddle, which rotates freely in the absence of material. The rotation of the unit’s shaft is continuously monitored by detection of a magnetized rotating disk (patented). When the paddle is impeded by material, the shaft rotation stops. The motor rotates within the housing and magnetized sections of the motor mounting plate are detected (patented). Use of these magnetic sensing techniques eliminates problems that may occur with fouling of the optical systems used by other brands. The built-in microcontroller performs self-diagnostics and monitors both shaft and motor mounting plate rotation. This allows the SafePoint to easily distinguish between material presence and any electrical and mechanical failure of the unit. When material presence is detected, the SENSE relay changes state and the drive motor is de-energized to extend motor life. This output is available to control a process function or alarm circuit. When the material level drops, a tension spring returns the drive motor to its original running condition and is reactivated. A unit failure is detected by sensing a lack of shaft rotation while material presence has not been detected by rotation of the motor mounting plate. In a failure condition the independent FAULT relay will change state indicating that an error condition exists. Monitoring the state of both the SENSE and FAULT relays provides the most flexibility for control and fail-safe monitoring. TrueCap® RF capacitance sensors offer cost-effective point level monitoring with reliability you can count on. Monitor’s complete line, which features models MK-2 and MK-2e, provides you with the most affordable solution for your application. 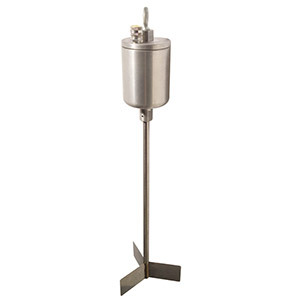 Monitor’s RF capacitance probes are designed to provide a high level of sensitivity, stability and durability for powder and bulk solids applications, as well as liquid and slurry applications. Monitor’s two-year warranty stands behind every TrueCap sensor. A radio frequency is applied to the probe and is continually analyzed to determine the influence caused by the surrounding environment. As material contacts the probe, the radio frequency shifts indicating an increase in capacitance (C). The active probe of the unit and the vessel’s wall make up the two plates (A=area) of a capacitor which are separated by a fixed distance (d). The probe’s insulator and surrounding air provide the dielectric material (with dielectric constant “K”). As the air (K=1.0) is displaced with any other material (K > 1.0), the capacitance effect (C) is enhanced, thereby changing the application’s impedance. This influence is measured within the circuitry and compared to a reference established by the sensitivity setting. The setting determines how much influence must be present before the output changes. The driven shield section of the probe enables the circuitry to ignore product build-up on the probe that would otherwise cause false sensing. The driven shield is activated with the same radio frequency potential as the sensing probe. Since current can not flow between identical potentials, the driven shield blocks current flow from the active probe to the vessel wall through the material build-up, thereby eliminating the sensing of the material build-up. 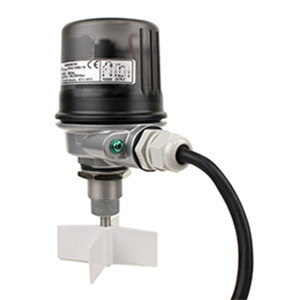 The models PAC-30U and PDC-30 proximity switches are solid state point level devices used to detect the absence or presence of bulk solids. 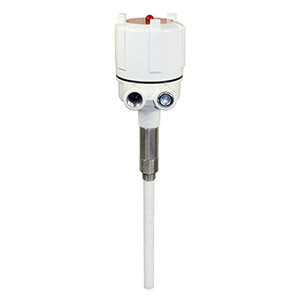 The compact configuration makes this product ideal for tight spaces or low cost level detection. As material comes in contact with, or in close proximity to, the PAC-30U or PDC-30, an internal solid state switch is activated. The PAC-30U is AC operated (20-265 VAC) and is universal in that it is switch selectable for either normally open or normally closed operation. 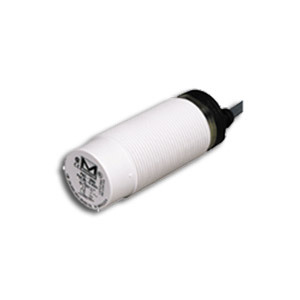 The PDC-30 is DC operated (10-40 VDC) and is available in either PNP or NPN configuration, each of which can be wired in either a normally open or normally closed operation mode. The PAC-30U and PDC-30 are RF capacitance-type level controls, which operate by detecting the electrical effect of the surrounding material such as air, plastic pellets or powders. A radio frequency is applied to the proximity switch sensing region and is continually analyzed to determine the influence of the surrounding environment. Since all materials have dielectric constants and conductance values that are different from that of air, the resultant impedance seen by the radio frequency changes whenever material approaches or contacts the sensing region. This influence is measured within the circuitry and compared with the reference point set by the sensitivity adjustment, which determines how much influence must be present before the output changes. The PZP offers many advantages over alternative technologies. The vibrating probe principle eliminates problems associated with temperature, humidity and material changes, while providing state-of-the-art electronic reliability and accuracy that requires no calibration. The unique single-prong probe design eliminates material packing problems and false signaling typically associated with the dual-prong “tuning fork” design. The PZP’s ability to detect a wide variety of material densities, including very lightweight materials, makes it an attractive solution for many applications. The PZP utilizes piezoelectric technology to create a vibration and then constantly monitors the presence or absence of that vibration. Two piezoelectric crystals are located in the base of the probe. A signal is applied to one crystal at the frequency corresponding to the probe’s self-resonance. The electrical excitation causes physical deformation of the crystal resulting in probe vibration. With no material present, the vibration of the probe is felt by the second crystal. This vibration causes physical deformation of the second crystal which generates a voltage to be analyzed by the electronic circuitry. With material present around the probe, the vibration is dampened, thereby minimizing the voltage generated by the second crystal. The output voltage is analyzed by the circuitry and the relay status changes accordingly. The standard probe is approximately 7″ (178mm) in length and is suitable for both top and side mount applications. It mounts to the vessel via a 1-1/2″ mounting gland. For high and low level applications that extend beyond the length of a standard probe, Monitor offers a pipe extension probe. This configuration is intended for top mount applications only. The extension is constructed of 1″ NPT stainless steel pipe which provides structural strength and affords a means to secure the assembly to the vessel. Available in lengths up to 12′ (3.6m), this unit is factory sized to the customer’s specifications. The cable extension configuration extends the detection length beyond the standard probe length. 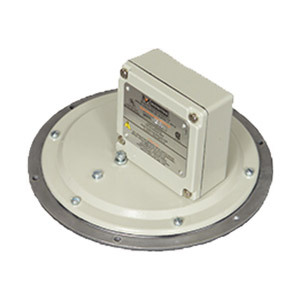 This self-contained unit is for use in top mount applications and can be used for both high and low level detection. A polyurethane sheathed, steel rope reinforced cable is used for the extension, and is available in lengths up to 20′ (6.1m). 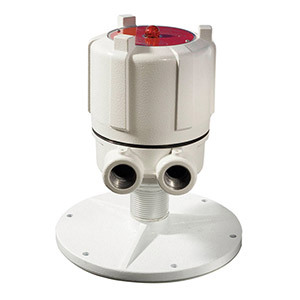 The unit mounts to the top of the vessel via a 1-1/2″ mounting gland. This configuration offers a split-architecture design that removes the electronics to a remote mounting location away from the vessel. The furnished cable allows for a 6′ (1.8m)separation between the probe and the remote electronics. This unit offers a reliable solution for applications that involve high temperatures or in vibrating vessels that reduce the reliability of most level sensors. 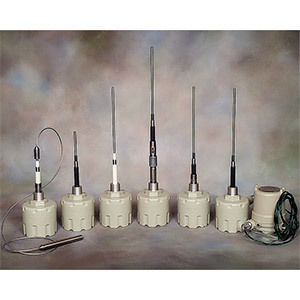 The probe can be top or side mounted for use in high or low level applications. For top mount applications, the probe can be ordered with a pipe extension (see above). 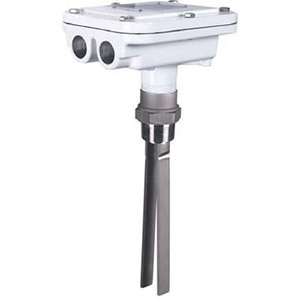 The VibraRod™ vibrating rod sensor provides reliable point level sensing in a wide variety of applications within powder and bulk solids markets. The vibrating probe principle utilized by the VibraRod overcomes typical application difficulties associated with changes in material, electrical dielectric constant, temperature or humidity while providing reliable solid state electronic circuitry that requires no calibration. The VibraRod has the ability to detect a wide range of material densities. The VibraRod line of vibrating rod point level sensors is offered in standard length, cable extension or pipe extension versions. The standard length version extends into your vessel approximately 9 inches (235 mm). The pipe extended version can be used to extend the measuring rod up to 120 inches (3 m) and the cable extended unit can be used to extend the probe up to about 65 feet (20 m). Each version can be provided with either a plastic or aluminum housing. VibraRod units are provided with local indication using a bi-color LED and a traditional relay output. The VibraRod™ line of point level sensors is a mechanical resonance system that is excited and kept in resonance by the sensor’s electronic circuitry. Two piezoelectric crystals are mounted on the internal portion of the probe’s base. An electrical signal is applied to one crystal at the frequency corresponding to the probe’s self-resonance. This electrical excitation causes physical deformation of the crystal which in-turn creates probe vibration. When no material is present around the VibraRod’s probe, the vibration of the probe is received by the second crystal. This causes physical deformation of the second crystal which generates a voltage analyzed by the electronic circuitry. With material present and surrounding the probe, the vibration is dampened so that the second crystal is not able to generate as high a voltage as when no material is present. The electronic circuitry senses this change and the relay output changes accordingly. 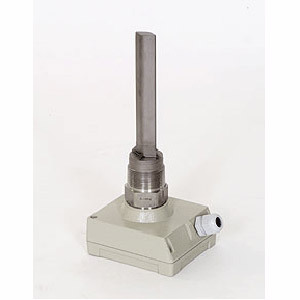 The standard probe is approximately 9-1/4″ (235 mm) in length and is suitable for both top and side mount applications. It mounts to the vessel with a 1-1/2″ NPT or BSP connection. For high and low level applications that extend beyond the length of the standard probe, the VibraRod™ can be provided with a pipe extension probe. This configuration is intended for top mount applications only. The extension is constructed of 1″ stainless steel pipe, which provides structural strength and affords a means to secure the assembly to the vessel. The pipe extension probe is available in lengths up to 10 feet (3 m) in length. The unit mounts to the vessel with a 1-1/2″ NPT or BSP connection. The cable extension probe configuration extends the detection length beyond the standard and pipe extension probes. This version of the VibraRod level sensor is for use in top mount applications only and can be used for both high and low level applications. A polyethylene (PE) coated steel reinforced cable is used for the extension and is available in lengths up to 65 feet (20 m). 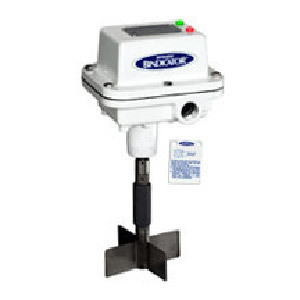 The unit mounts to the vessel with a 1-1/2″ NPT or BSP connection. 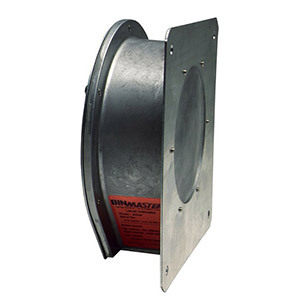 Monitor’s line of BINATROL® diaphragm bin monitors consists of economical, reliable, and durable point level controls for point level detection of dry bulk materials. The units can be used to eliminate bin overflow, maintain a predetermined material level, indicate plugging of chutes or conveyors or provide any of a number of level control functions. The flush mount, non-intrusive BINATROL units are ideally used when vessel size or internal clearance is limited, or where protrusion into a vessel is not acceptable. All installation and servicing, including diaphragm replacement and sensitivity adjustment, can be done from outside the vessel. These products are not normally used with materials which are very light, sticky or of large particle size. A diaphragm bin monitor provides level indication by detecting pressure applied by the bulk material to the sensing diaphragm. The unit is installed to a vessel wall so that the diaphragm is exposed to the material to be sensed. As material contacts the diaphragm, a force is exerted through the diaphragm to a pressure plate within the bin monitor. Physical deflection of the pressure plate activates an internal switch which is user accessible for signaling alarms, lights or PLC inputs. When material recedes from the diaphragm, a light duty spring returns the pressure plate and internal switch back to their original positions. The Model G is the most basic BINATROL® diaphragm bin monitor. It provides accurate point level control on most bin types for products ranging from pellets to fine powders. The Model GX offers all the features of the Model G, but is specially designed to provide dust-ignition proof protection. This model should be used in applications which require Class II dust-ignition proof approval. The Model GX-SS is the dust- ignition proof version of the Model G with a type 321 stainless steel diaphragm. 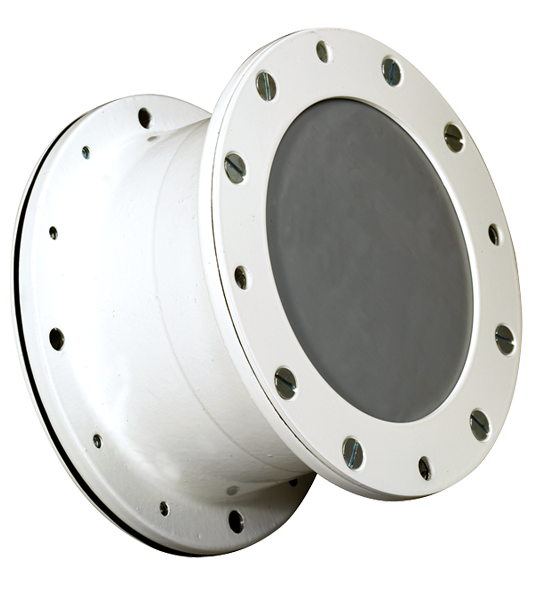 This type of diaphragm provides corrosion resistance when used with corrosive materials such as fertilizer or added protection in abrasive applications. All other features are consistent with Models G and GX. Monitor’s line of tilt switches are economical, trouble-free point level controls available for detection of dry bulk materials. The units can be used as high level indicators to eliminate bin overflow or to control levels in open piles. In addition, the tilt switches are useful in determining over or under-load on conveyor belts. The simple yet efficient internal construction (one moving part) provides indication when unit is tilted at a 17° angle throughout the complete 360° of axial arc. 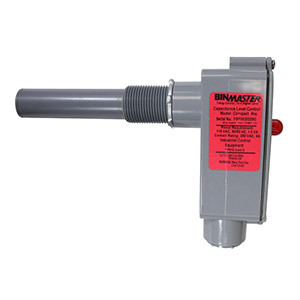 Each tilt switch includes a threaded bore for attaching extension actuators which can increase sensing repeatability and protect the tilt switch from direct contact with coarse material. Monitor offers two different models of tilt switches, each suited to satisfy different application requirements. 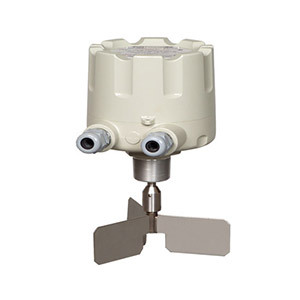 Model TC-1 is a heavy-duty, weather-proof tilt switch constructed from cast iron. It is ideally suited for applications where heavy coarse materials are handled (i.e. >45lb/ft³ ; >720kg/m³ or particle sizes exceeding 2in; 50mm). Typical application materials include coal, ore, rock, aggregate, and sand. Model TC-3X is a light-duty tilt switch constructed from cast aluminum. It is ideally suited for applications where relatively light weight, moderately sized materials are handled (i.e. 15-60lb/ft³; 240-960kg/m³ or particle sizes less than 2in; 50mm). Typical application materials include grain, feed, plastic pellets, and pet food. The TC-3X has a dust-ignition proof approval rating and therefore can be used in applicable hazardous location environments. Copyright © 2017 ChaDa Sales, Inc. All Rights Reserved.